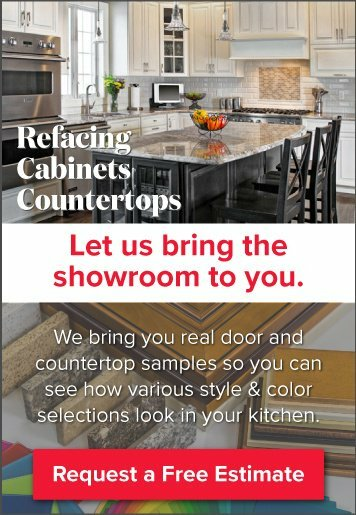 Refacing cabinetry is one of the smartest, designer-savvy things you can do to get the high-end look you want for a fraction of the price. Most people think about refacing in terms of cabinetry - but have no idea that you can reface your kitchen hood too! As you're probably aware, all the little extras add up quick when you begin planning a kitchen design. 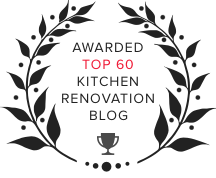 However, there are so many ways you can finagle refacing, covering or re-designing existing kitchen elements - - as long as they still work well. The stovetop hood is a prime example. 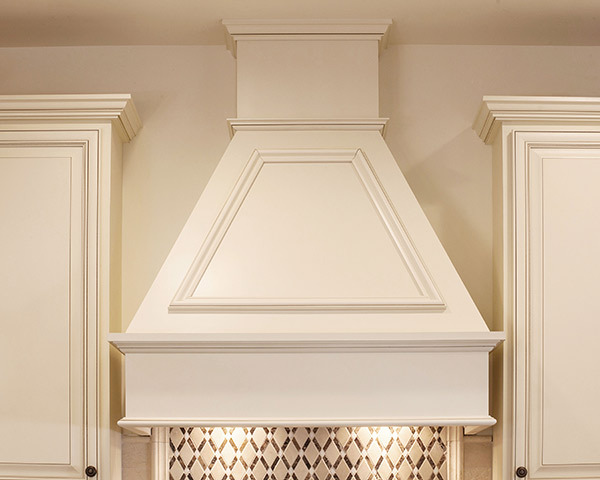 Built to vent steam, odors, heat and particulate matters up from the stovetop and outside (or through a filtration system), most stove hoods comprise significant air and visual space. That's why you probably feel the metal, olive green hood from the 70s needs to go! In fact, we can work wonders rebuilding a new hood box, covering the existing hood in matching or complimentary finishes. Afterwards, the hood will look right at home in your new kitchen design (and you end up with even more money in the kitchen remodeling budget). Note: We use the olive green example for punch and point. Truly, efficiency matters. If your hood is more than 20 years old, you should probably replace it. Read, How to Choose A Hood Vent...to learn more. Enough of the theoretical. Let's show some real life examples of Kitchen Magic remodels where homeowners opted to reface, rather than replace, their outdated oven hoods. In this "Before" picture, you can see the original kitchen was chock full of contractor-standard appliances. While the stainless hood looked "okay" with the rest of the kitchen's stainless appliances, we can all agree this kitchen lacked personality. The homeowners wanted something that demonstrated their contemporary take on traditional design. 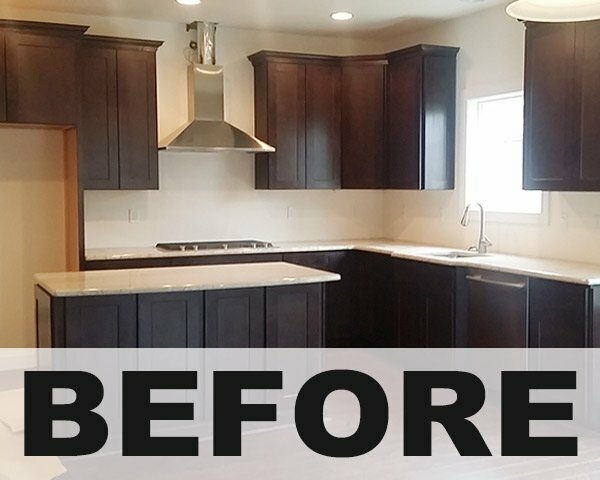 They selected white cabinets that brightened everything up, and eliminated the choppy, cabinet-wall-hood-wall-cabinet look from before. We built a wider hood box to better balance the proportions , and we matched the wood details on the front of the hood to the new cabinet door details. In our second example, homeowners enjoyed having their cooktop in the center of things - on top of the kitchen island. 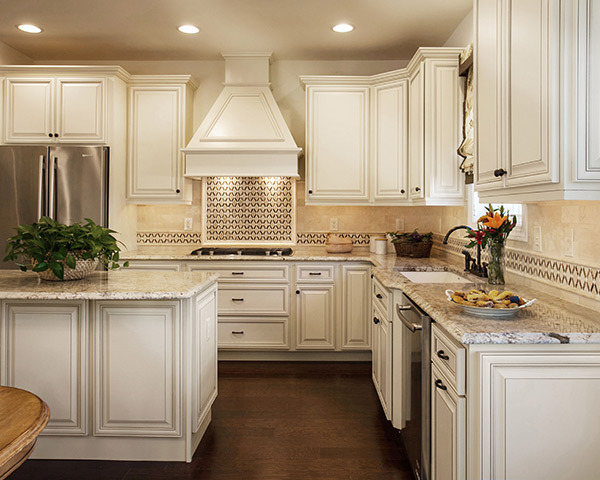 However, the previous hood didn't blend with the warm, rich cabinetry they loved. Rather than change it out, or alter a kitchen layout that worked for them, we refaced the hood instead. The new hood box is finished with a matching laminate that looks just like hardwood, and we even adorned it with the same cabinet door panels used on their perimeter cabinet and island. 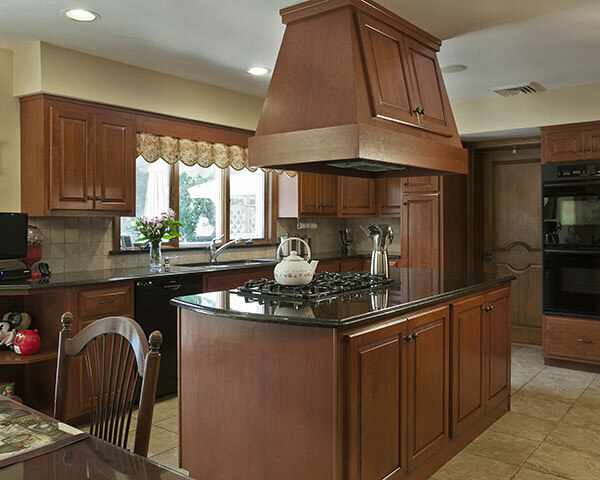 Have we piqued your interest about the benefits of refacing your outdated kitchen hood? There's no reason to ditch working components of a current kitchen design when we can disguise them instead. Contact the team at Kitchen Magic and we'll help you explore these and other money-saving options.